Since it’s debut, the Smartphone has become more than a means of communication. Aside from an enormous amount of functions, it’s also a popular tool for phone photography. So whether you are a hiker snapping a breathtaking view or a mom capturing a precious moment, our Smartphones are the handiest go-to devices to memorialize that once in a lifetime instant. So we’ve got all these awesome photos in our Smartphones and no hard copies to display to family and friends. I just learned about an ingenious way to print photos from our Smartphones using the KiiPix Smartphone Printer from TOMY. 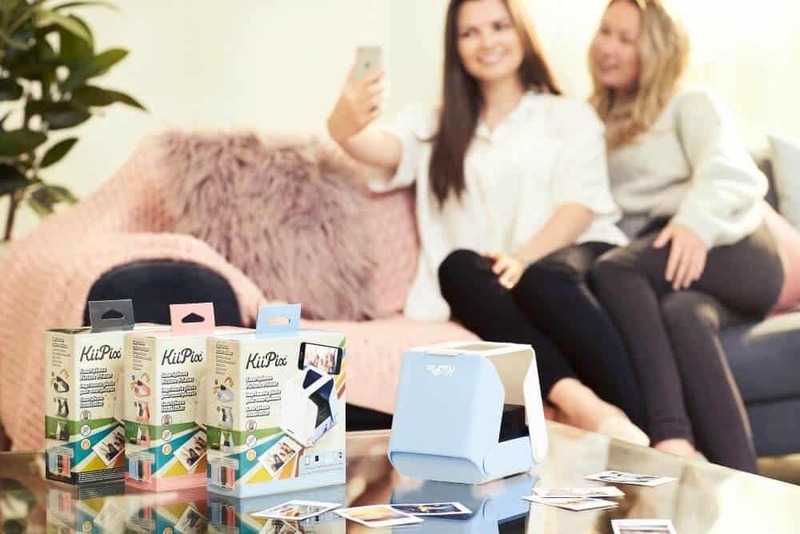 It’s a cute, innovative, portable, easy-to-use instant film printer that doesn’t require any wifi, special apps or batteries to function. Who can beat that? The KiiPix printer has an old school retro vibe, but has a modern day application to print and share photos straight from your Smartphone camera roll. When you take your KiiPix out of the box, the first thing you’ll need to do is install a Fujifilm Instax mini film cartridge. To do that, you turn the KiiPix over, open the door and snap the film inside. Then turn the scroll button on the side of the pinter clockwise to first remove the protective cover off the film and you’re ready to go, no assembling, no batteries, no waiting time. It’s great this gadget uses a film most of us have in our home anyway, so no special film required. The printer comes with a frame and you need to center your photo within its parameters. There is a sticky side that adheres to your Smartphone screen and its margin needs to be on the right side or your images will be askew or upside down. Unfold the printer and then place the frame on top, but make sure your photo is active and your phone isn’t showing a black screen. There is a little mirror below that will reflect your image as well. There is a pinhole camera below that captures your image, so when you’re ready, just press the shutter button. So, I have a lot of pet, garden and holidays images on my phone and thought it would be great to have a few polaroids hanging on our message board. I found that my images turned out darker than the real photo and some of them had striations running through them as well. Originally, I had my phone brightness at 80% and then turned it up all the way. They turned out a little better. Although they are not perfect, they do capture the reason why you took the photo in the first place. 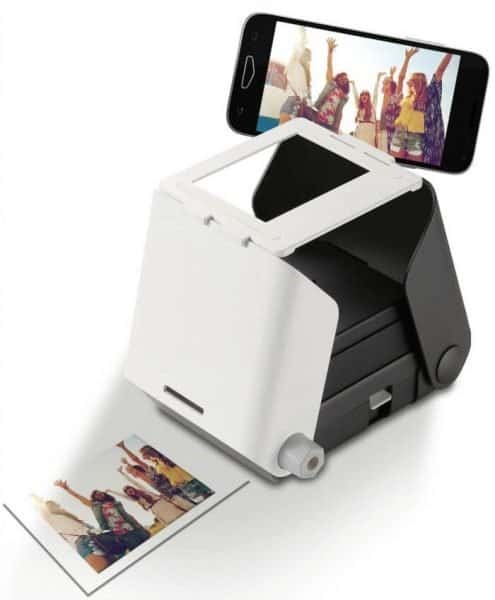 Its portability allows you to print your photos anywhere, at school, the office, the gym, at picnics, at parties or special occasions. The holidays are approaching rapidly and this printer will add to the life of the holiday season. It’s affordable and would make great stocking stuffer. I received product to facilitate a review. All opinions are my own, yours may differ. This post contains affiliate links. We are a participant in the Amazon Services LLC Associates Program, an affiliate advertising program designed to provide a means for us to earn fees by linking to Amazon.com, Amazon.ca and affiliated sites. I’ve wanted a printer for my phone for SO LONG, now! I think that the first thing I would print would definitely be a photo of my daughter. She’s due December 3rd! She’s our first child, and we couldn’t be any more excited. I would copy a photo of my cockatiel, she is cute !! I’d print a picture of our new kitten! I would print one of us at the location we will be having our wedding ceremony. I would print off a picture of my daughter, I need a new one for my wallet 🙂 good luck all!! I would print an image of my granddaughter. The first image I would print is a beautiful picture on my phone of my 27 year old son, my 5 year old granddaughter, and my 13 year old daughter. My 3 hearts. I’d print a picture of my beautiful son and daughter! My cats Jack & Penny. I would first print a picture of my family! I would print the best pic of me with my friends at DragonCon and share it with them. I’d print a picture of my family! My first photo print would be of my son and his best friends! I would print my travel adventures photos first! I would print a photo of my three sons. I’d print my cat photos. I would print some pictures of my grandchildren and then my dogs!! The first image I would print off my phone is one of my kids at the park that I took on the way home from school. I would print a picture of my grandkids first! I would print pictures of my two cats first. I would print the picture of moose in our yard. I’ll take a photo of Poppy, my daughter’s dog. The first picture I’d print would be of my 2 granddaughters (sisters). I would print a picture of our golf vacation. I would print pics of my garden from last Summer. I would print pictures from Halloween! I would print out a photo of my dog. I would print a picture of my four month old granddaughter. I would print pictures of my dog. I know my wife would print pictures of our cats. I would print off a picture of my son. The first image I would print off my Smartphone is the one of our Granddaughter hugging a big pumpkin. I would print off numerous pictures from our visit to Amish country. The stores, the people, and country-side scenery was just incredible! I have never seen a printer like this before today. This is really new to me. The first pictures I would print off would be the sunrise pictures I have recently taken. I would print off pictures of my 2 kids! I would print pictures of my grandson this coming Christmas and also my family. It would be a photo of my kids. I’d print a picture of my daughter at the pumpkin patch. I would be printing pictures of my puppy all day long. I would print a picture of my cat and dog. This would be a gift for my 16yr. old. I do not even have a phone. Just the good old land line.LOL I know now you are thinking I am sitting here in a loin cloth. first picture I would print would be a picture of our granddaughter with her dogs! I would print a picture of my daughter. I would first print off a picture of my granddaughter. We just got back from Disneyland and we have a great picture of the whole family. ID definitely print it first! The first image I would print is this year’s Christmas tree and maybe put a copy in a few Christmas cards to family. I would print a photo of my puppy dog, Silly Lilly. I would print photos of my grandkids. I would print a picture of me and my granddaughter. I would print pictures of my children. I`d print an image of our family,at my sons graduation! I don’t have a smartphone but my daughter just saw this on TV the other day and mentioned that it might be a good gift for some of the teens that we gift to at Christmas. Hoping they will love it. Pet pics would be what I would start with. The first printer I would print off my iPhone would be that of myself holding my godson after his birth… I look at this image all the time; I love it! I would print off some concert pictures that I’ve taken over the year! I would print photos of my sons and our dogs, this would be so awesome! I would print family pics of our recent roadtrips. I would print my daughters engagement photos,theyre beautiful Id love to show her off in her own album. One of my own pictures from Instagram. Probably from my trip to Scotland! I would print a picture of my family. I would print a picture of my daughter at her wedding. The first picture would be of my Grandson. I would print of a picture of a car I want to buy. My family including the animals. If I get a great winter shot of the snow then I will definitely be printing that, my fall to though is my dog Sasha. I would print my son’s Halloween costume photo! He was Richard Simmons & it’s hilarious! The first picture I would print of is a family picture. I’d print a photo of my kitty! definately a family pic that my mom took thanksgiving weekend at her place. The first thing I’d print is a photo of my Cockers! I would print some vacation photos. I’d print a picture of our Xmas lights to send to my Mom! I would print a picture of my daughter with her pet chicken..
i would print christmas pictures. Two days ago, we had to have our little hedgehog put down, he was very sick with cancer. He was best buddies with my cat, who we also lost to cancer in September. I have a picture of them together snuggling. I would print that picture first. a picture of my kids for my mom. currently she is in the hospital and I know a picture would make her happy. I would print off this picture that I absolutely love of me and my little nephew. I would print photos of my cats. The first thing i would print are pictures of my daughter!! The first thing I would print is photo of my pet. I think it would be my dog! A picture of my grandkids. I would print my favourite Pic of my 3 granddaughters in the lake while we were camping. Pictures of a new grandbaby, due very soon. I would print a picture of my daughter! The first thing would be a family picture for Thanksgiving! This is really neat! I would love to print pictures of my kids and the holidays. I would want to print pictures of my grandkids. This is such an amazing item!! I just can’t believe technology nowadays!! Thank you for the opportunity! No I have never tried to download photos from my phone, a lot of pictures I took by accident when my phone opened on camera mode. I would print pics of my animals first. I would print the family picture we took when my mother-in-lay turned 90 this summer. Thanks for the super giveaway opportunity. I would print off the pics of my kiddos homecoming. Thank you! My son’s beautiful smiling face! I would first print of a photo of my two kids. Thanks! I would print a pic of my husband. I would print my silly puppy. I would print a picture of my kids first. I would print off pictures of my two granddaughters who are 5 and 6! I could spend HOURS taking pictures of the two of them while we play together! I’d print off a selfie from the summer of my husband and I collecting sea glass in a rain storm. I would first print off a photo of my family. I would print holiday photo of my kids. I would first take and print out a pic of our pug, Dexter. I would print a picture of my friend off. I have pictures from our trip to Disney this year and I would love to print a few for my mom to have. It would be photos of my partner and I! I’d love to win this! Thanks for the opportunity to enter! I would print a photo of my children first. I have this really awesome pic of my boys running in the rain this summer, that would be the first one I would print. I would love to have a printer to print pictures from my phone. I have a picture of my Grandma and daughters that is amazing! I would print images of my grandkids. The first image I would print is of the 4 of us on a recent vacation to Key West so I can mat the pictures on a map of key west and frame for gifts. I would print off pictures of my five year old daughter. I would take pictures of my kids on Christmas morning. I would print off a family picture of us at the beach. I would print a picture of our trip to Nova Scotia. I would print a photo of my kitties! I have never tried to print pictures off my phone because I have a Trac-phone. (dumb-phone) But my daughter has a smart phone. It would likely be a picture of my children. I would print a picture of my daughter. I seem to take photos of her but never print them to have around. We haven’t had that bunch of family pictures. This Christmas season it would be great to make a surprise like decorating our storage room with our pictures. This will do, I hope I’ll get one, it would be great help. I would print a photo of our dog. 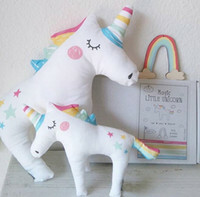 I would totally give this to my daughter! She would love printing pictures of her friends! I would love to print out pictures of my grand children and of my husband and I. Pictures of my newborn son! I don’t have a smart phone, but my hubby does…so, this would be a gift for him and I’m not sure what he’d print first! Thanks and God bless! Images of my mom, she is quite elderly and I think she would get a kick out of seeing an instant picture. Thanks! I have a cute photo we took over Thanksgiving when my hubby & I went out to dinner with my daughter & her boyfriend. I’d print that first! I’d print one of my favorite photos of my little boy! Oh no I got the secret code wrong, tried to find the code on FaceBook but it wasn’t there !! I know know that the code is polaroids. I did not even realize they made these for phones. My first pics I want to print is my dogs! Im so excited just to have a chance to win!! I would print pictures of my kiddos! All of their activities and school things would be the first thing I’d print. Then I would print pictures of my fur babies! A picture of my kiddos, of course! My Grandchildren, I have so many I need to get some printed. Then family pictures including our doxie. A gorgeous Florida sunset captured at the beach this past summer with the family. A photo of my son and me. I don’t have many of us together. I would print a million pictures of my cat so I could put them up all around m,y apartment and have a little shrine to my kitty. Maybe I’d print out one of my boyfriend, too. I’d print a picture from my last trip to visit family in San Antonio. I would print a picture of my children. I would print pics of my children. I would print off pictures of my daughter! A picture of my two daughters when we visited Park City, UT last spring break and it was the first time either had seen snow. It was the best city and I have the best cousins that let us stay with them while we were there – the snow was just wonderful! I would print a copy of my son’s graduation. I have an adorable picture of my kids looking out the window together and hugging. It is adorable ! I’d print beginning of the school year photos of my girls. An old pic of me and my bf from 2010. I would print photos from my daughter’s graduation! She looked beautiful. I would print off my favorite picture of me and my fiance. I would print off pictures of my family first. I would print off pictures of my son first. I would love to print my indelible photos of Downtown Chicago.